Home › Personal Injury › Auto Accidents › Who should pay for your medical treatment? Do the adjusters usually pay for the medical treatment as it is incurred? No. Many personal injury claimants hope that the negligent driver’s insurance adjuster will pay for their medical treatment as the treatment expenses are incurred. However, the liability adjuster almost never will agree to do this. Normally, the liability adjuster will tell you that you must figure out how to get the medical treatment you need on your own. Then after you finish treatment, then the adjuster will decide whether they will pay for your medical treatment. This means that the insurance adjusters will not usually pay for the medical treatment until a lump sum settlement is negotiated. Why doesn’t the liability adjuster agree to help you get the medical treatment you need? It’s simple. The negligent driver’s insurance adjuster hopes that you will delay or decide to forgo the medical treatment you need. If you do, then the adjuster often will get away with very small settlement offers. Can our firm help you get the medical treatment you need? Absolutely. 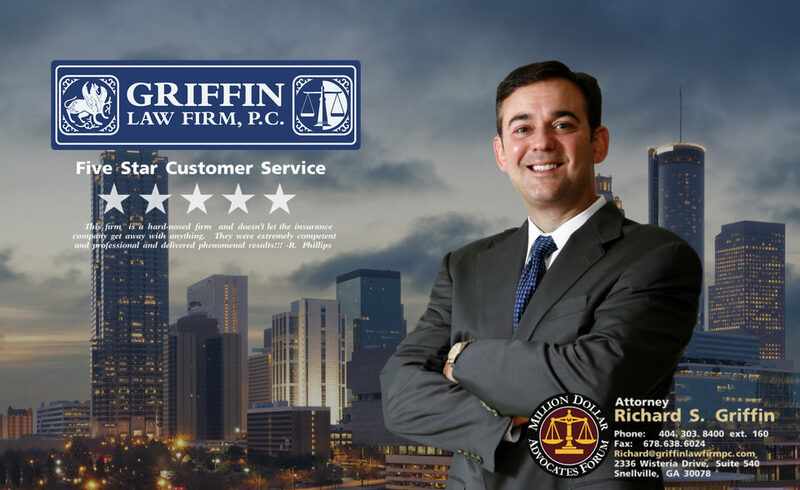 Attorney Richard Griffin and his personal injury lawyers will help you get all of the medical treatment you need if you have a case that we accept. We can also help you find the right doctor for you and your injuries. Our clients normally don’t have to pay for the medical treatment out-of-pocket even if they don’t have health insurance or med pay coverage. Our auto accident lawyers can normally get use doctor liens and medical funding companies to get you all of the treatment and testing you need when you have no other coverage. What is a doctor lien? Doctor liens are agreements signed by you and by our firm that promise the doctor that you will pay their medical bill from the proceeds of your settlement. These agreements result in the doctor providing the treatment without requiring payment as the treatment is provided. What are medical funding companies? Medical funding companies are sort of like getting health insurance coverage for your personal injury medical treatment after the car accident occurs. The medical funding company will pay the doctor or medical testing provider directly at a reduced rate in exchange for an agreement that they will be paid the full cost of the treatment or testing when the case settles. Free Consultation: Call the Griffin Law Firm today at 877-524-7070 or at 877-PAIN-LAW to find out if we can help you get the medical treatment or testing that you need for your personal injury claim.